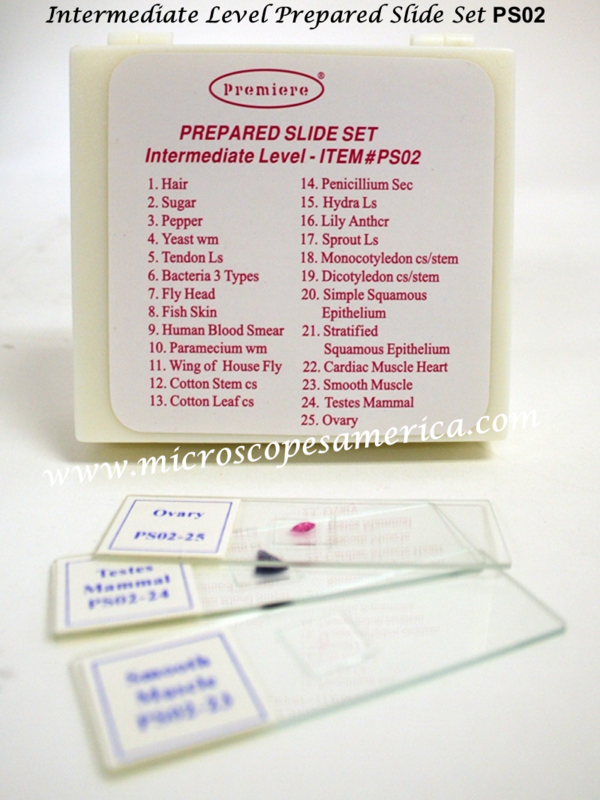 Prepared Slide Sets for Microscopes. 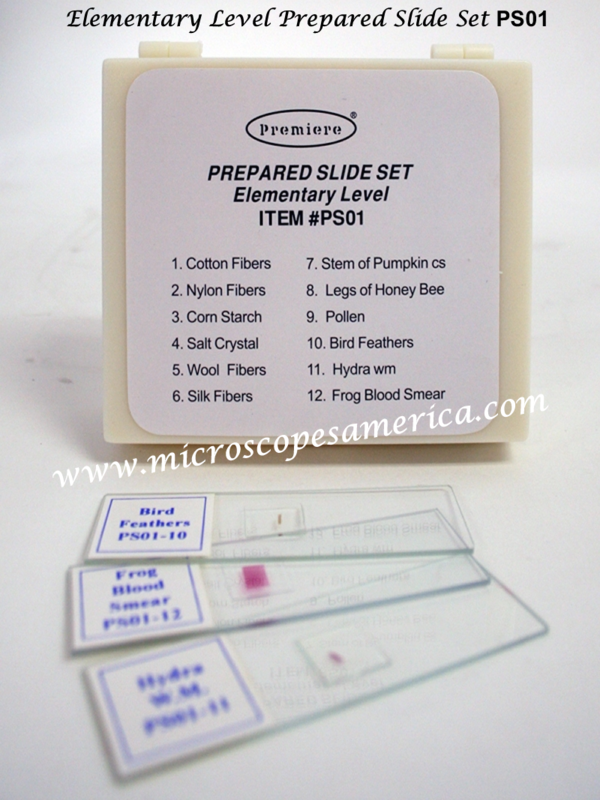 Our Prepared Slide Sets make it easy for students to clearly view specimens up close under a microscope. 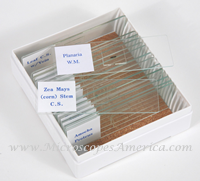 We offer slide sets with samples of human and animal tissue, plants, micro-organisms and more. 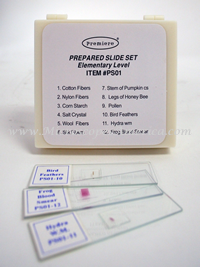 Stock up on Prepared Slide Sets today for your home school or classroom laboratory. High School Level Prepared Slides. 13. Hydra thru Testis c.s. 14. Hydra thru Ovary c.s. 17. Zea Mays Seed l.s. The popular 16-piece Biology slide set complements home-school biology curriculum. 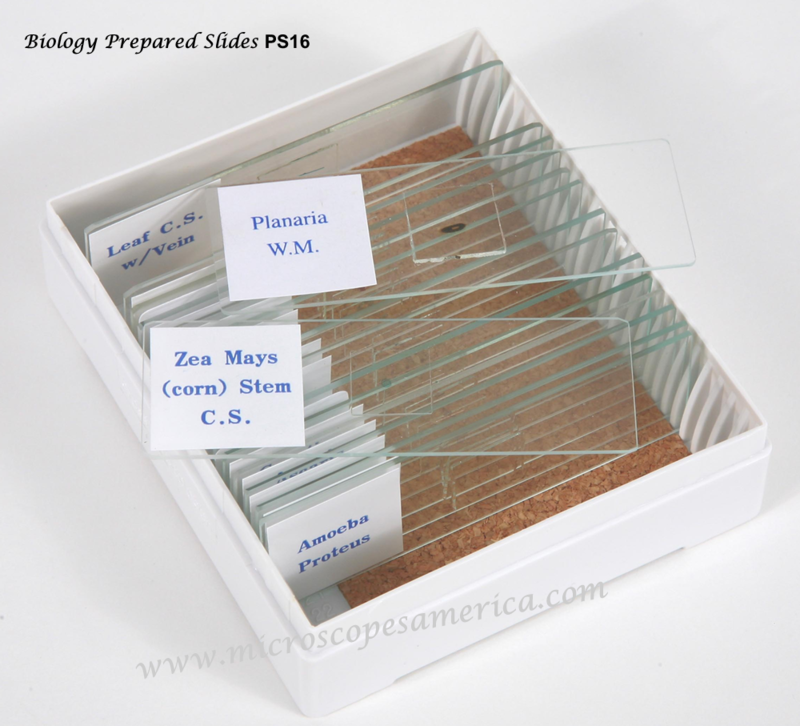 The glass slides in the set are professionally stained and mounted for observation under a microscope. Each slide is individually labeled. 8. Zea Mays (Corn) Root c.s. 16. Zea Mays Stem c.s.